Whether the colour scheme of your kitchen looks tired or you want to experience something new and fresh, now is the best time to undertake a renovation of your kitchen. But going for any random kitchen design is not advisable. You need to find out what’s hot so that you can make your kitchen cause some serious rubbernecking among your guests. Personalisation is the mantra these days. No matter which style you adopt, it should reflect your personal style. While bold colours and patterns are quite a hit, even metallic is stealing limelight these days. 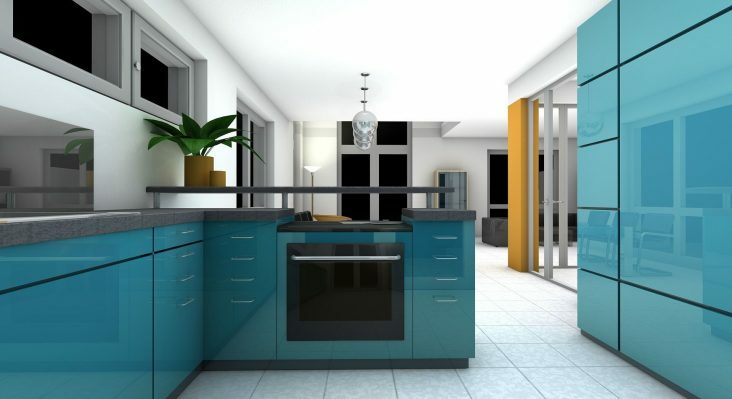 So, let’s have a look at some of the hottest kitchen interior design & Remodelling ideas. When it comes to Modular kitchen interior design ideas, vibrant colour schemes are huge this season. What has also gained immense popularity is the Scandinavian element. Colour clashes, maximalism and pops of vividly bright hues, everything is a big ‘yes’ under this category. But even if you use bold colours, you must see to it that the colours are in line with your personality and taste. One rule of thumb to follow- makes sure the paint you apply on your kitchen walls and cabinets make the space look brighter and lighter. The dark essence is for entertainment areas, not for the kitchen.